On safari at last! Though technically, this whole month we (or at least I, as Jess has been working) have been on safari, as safari literally means "journey" in Swahili. 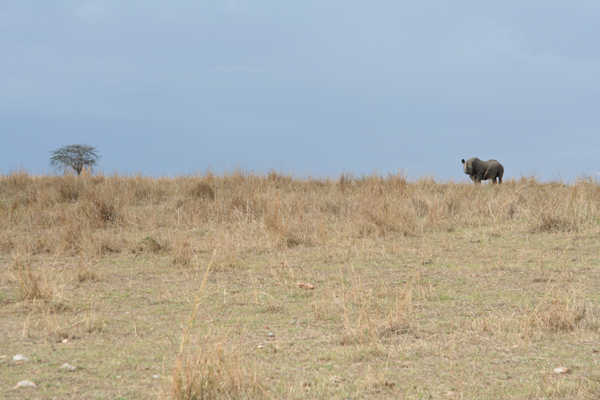 A safari in Masai Mara was a good way to round out our trip. 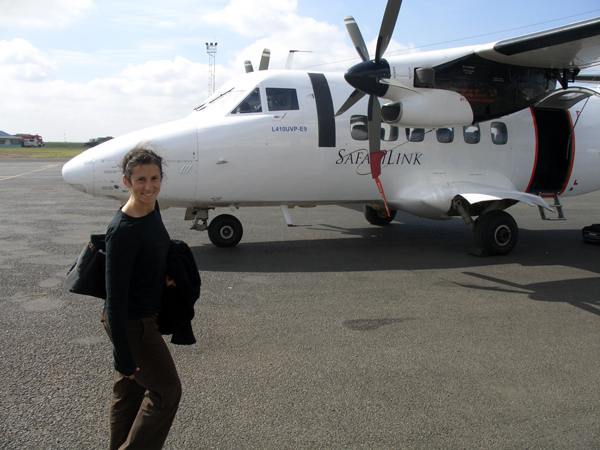 We woke up early in Nairobi and went to the small airport where we caught our plane to Masai Mara. The plane was a small twin-propeller plane, that we shared with this other fat American family of a missionary that worked in Kenya. Small planes are scary. 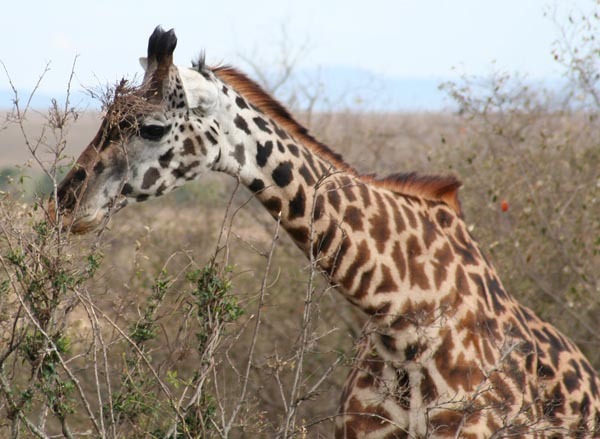 Saw some giraffes and zebras taking off (in the park just west of the city), and then over the outskirts of Nairobi, which was either tin-roofed slums, or huge mansions on golf courses. Flew west for 45 minutes or so, descending over a series of plateaus. The plains were dotted with circular Masai encampments, the houses ringing an inner corral where they kept their cattle at night to protect them against lions and whatnot. We landed on some dirt airstrip with zebras and gazelles grazing off to the side. The family got off but we stayed on—the the only ones on the plane. We took off and flew in a circle, seemingly landing a kilometer or so from the airstrip we took off from. Still not our stop. We picked up another passenger and took off again. By this time I was getting sick. I hate small planes, and it probably didn't help that I was trying to zoom on my video camera. The third stop was finally ours. I was nauseous and drenched in sweat but managed to keep my breakfast down. We were met at the airstrip and taken to our hotel, the Mara Intrepids Lodge, a series of tents along a river. Hardly camping out, these are luxury tents with wood floors and a porch and hot water and electricity. With the flaps open it feels like you are outside, but living and sleeping in comfort and luxury at the same time. 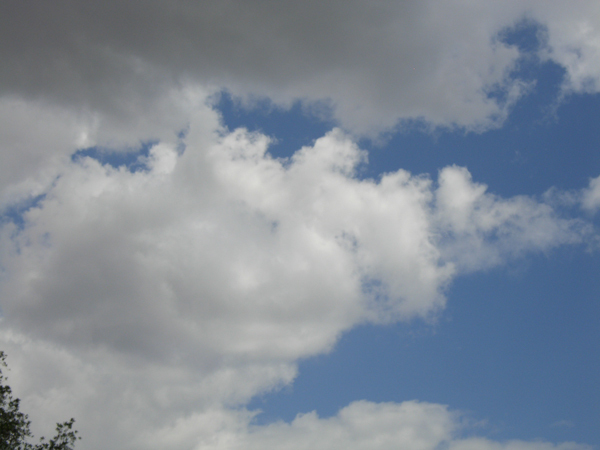 After lunch, we were restless for our first game drive and I took a picture of this cloud because I thought it looked like a rhino. I told Jess it was a sign we'd see a rhino. Obviously we were geeked out and giddy, so of course wanted to stop and see everything that moved at first. We were with some British couple, Andy and Emma, that had already been on a few game drives and were in the backseat not too excited about anything. 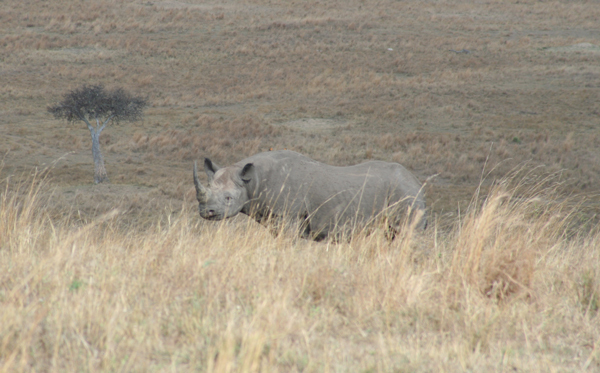 Our driver/guide Simon got word over his radio that there was a black Rhino sighted, which is one of the more rare things to see, being that there are only 36 of them left in Masai Mara. Lucky us, hitting one of the the hardest of the Big 5 (lion, leopard, elephant, buffalo and rhino) first. Simon was saying he sees a rhino maybe once a month. After that we saw a few giraffes that were different than the ones we saw out on the way to Dertu. 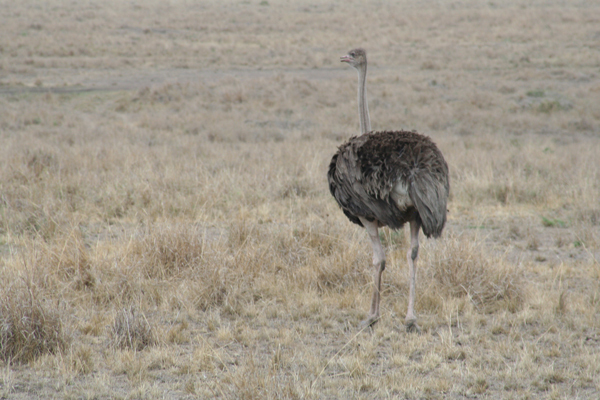 Then we saw the first of many ostriches, hippos, lions, wildebeest, buffalo, warthogs, topis, storks, zebras, and all sorts of antelopes and gazelles. Came back and had dinner with a hippo wallowing in the river below us.